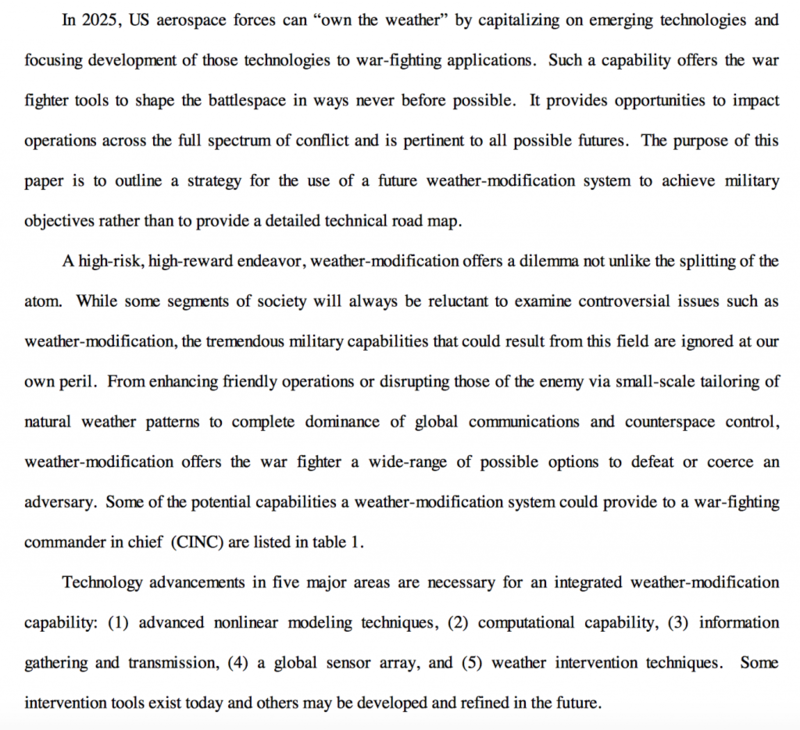 “The term weather-modification may have negative connotations for many people, civilians and military members alike. It is thus important to define the scope to be considered in this paper so that potential critics or proponents of further research have a common basis for discussion. “Weather-modification technologies might involve techniques that would increase latent heat release in the atmosphere, provide additional water vapor for cloud cell development, and provide additional surface and lower atmospheric heating to increase atmospheric instability. 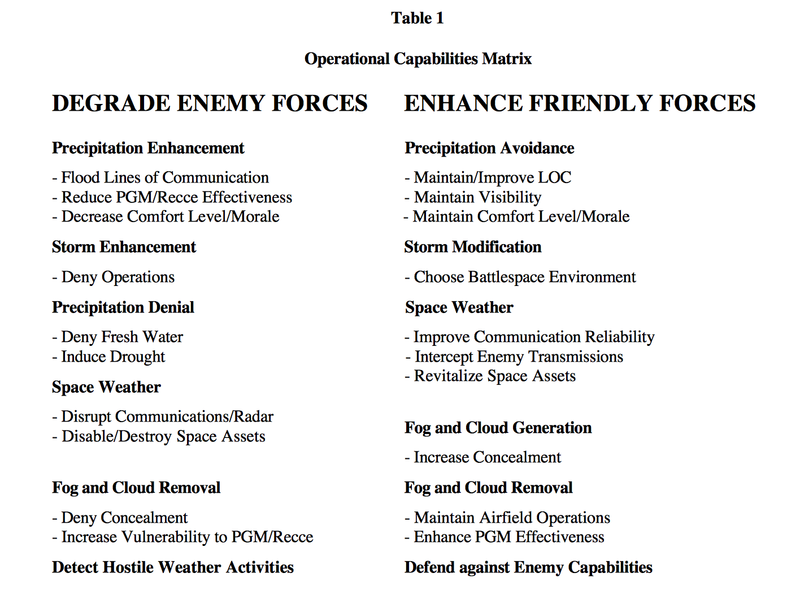 “The CIA is helping fund the research because the NAS also plans to evaluate “the national security concerns (that could be) related to geoengineering technologies being deployed somewhere in the world,” Kearney said. 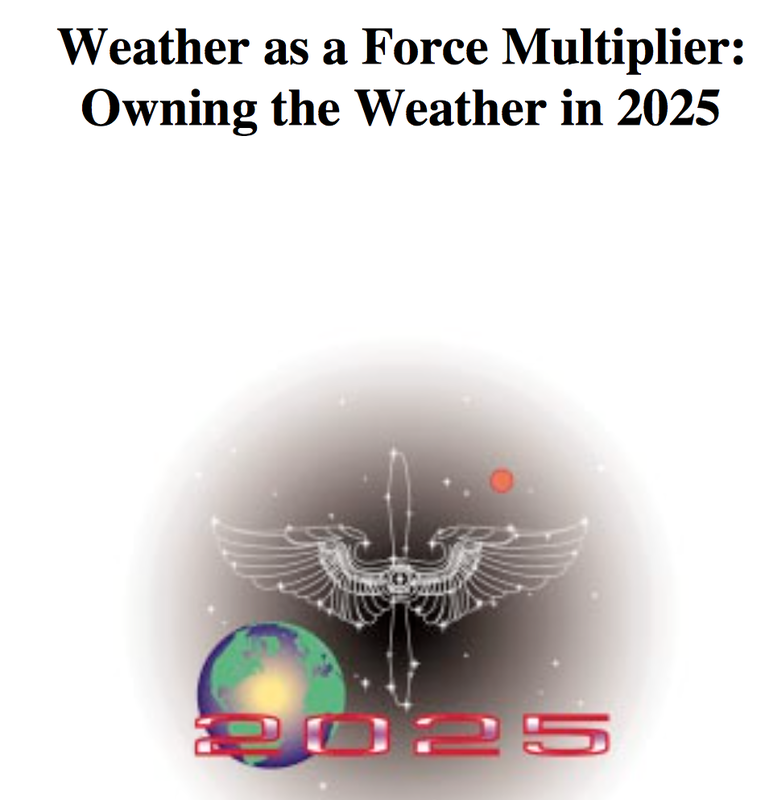 “A senior American climate scientist has spoken of the fear he experienced when US intelligence services apparently asked him about the possibility of weaponising the weather as a major report on geo-engineering is to be published this week.